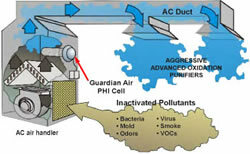 Air Purification Systems such as Guardian Air is a whole house air purification system that uses oxidizers and has been proven to kill unhealthy microbes (mold, bacteria and viruses) and eliminate unwanted odors. 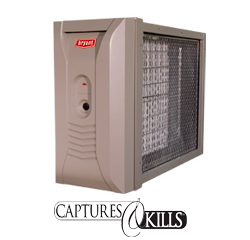 The Guardian Air by RGF® is designed to eliminate household and sick building syndrome risks by reducing odors, air pollutants, VOCs (chemical odors), smoke, mold bacteria and viruses. The HVAC-PHI Cells are easily mounted into air conditioning and heating systems air ducts where most sick building problems start. When the HVAC system is in operation the HVAC-PHI Cell creates an Advanced Oxidation Process consisting of: Hydro-peroxides, super oxide ions and hydroxide ions. All are friendly oxidizers. By friendly oxidizers we mean oxidizers that revert back to oxygen and hydrogen after the oxidation of the pollutant. 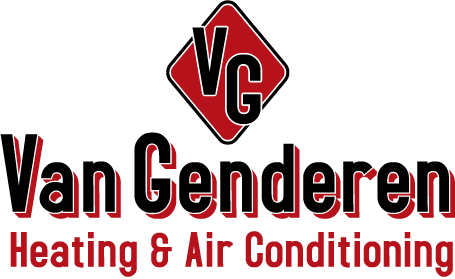 Guardian Air does not need the pollutants to travel to the air handler for UV treatment or filtration. Guardian Air is proactive and sends ionized aggressive advanced oxidizers into the room to destroy the pollutants at the source, in the air and on surfaces, before they can reach your family, clients or employees. 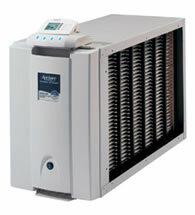 Installed by Van Genderen Heating & Air Conditioning as part of your central heating and cooling system, the Aprilaire Model 5000 Electronic Air Cleaner can help give you the cleanest, healthiest air in every room of your home.